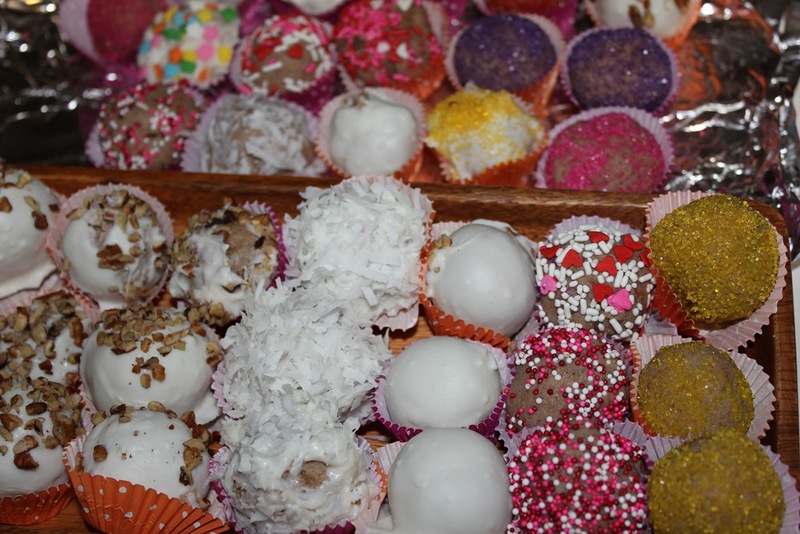 At a recent Family event my aunt brought there delicious cake balls for dessert. She got them at a little place in Owasso called D’s Sweet Designs. They were FABULOUS! The champagne flavored were my favorite. I was telling my friend Clay about them and he decided that he should try them. Unfortunately, D’s is closed on Sunday and Monday. We were going to hang out on Sunday, so you can see my predicament. I decided that it was time to try my hand at being a baker. 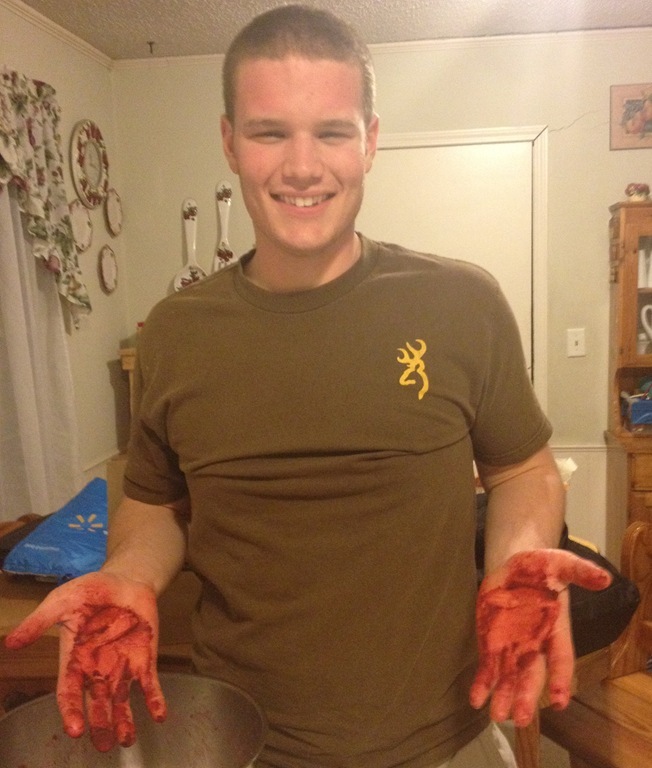 I started off with three different kinds of cake mixes: german chocolate, carrot, and red velvet. These were just box mixes that I bought at Wal*mart. I got cream cheese frosting for the carrot and velvet cake and dark chocolate frosting for the german chocolate. I baked the cake in rectangular pans and then let them cool. After they cooled I crumbled the cake. After the cake is crumbled I added a whole container of frosting per one cake mix. After it is mixed I put it in the freezer for at least 15 minutes. It actually works better if you leave the cake mix in the freezer longer. The next step was to roll the cake in to balls and coat them. I used vanilla and chocolate almond bark. Next time I make these (which may be awhile…) I think I am going to experiment with a different coating. 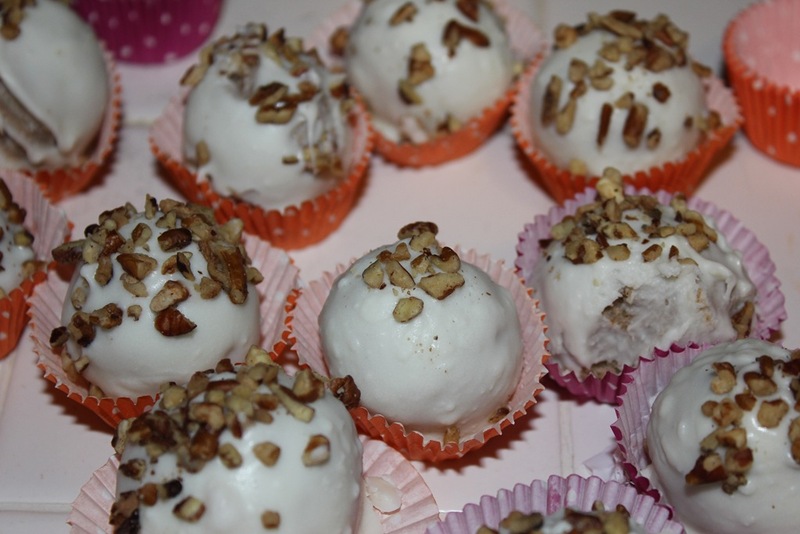 Some of the cake balls were plain and others were rolled in pecans or coconuts. Some of the almond bark got too hot and was unusable. We had to get creative by just rolling the uncoated ball in sprinkles. These are okay tasting when they are served cold. The coated ones taste fine chilled or at room temperature. This was a new adventure for me and Clay because we have never baked before. I think it may have scarred us both. I DO NOT recommend making more than one, two max, box of cake balls. It becomes overwhelming. 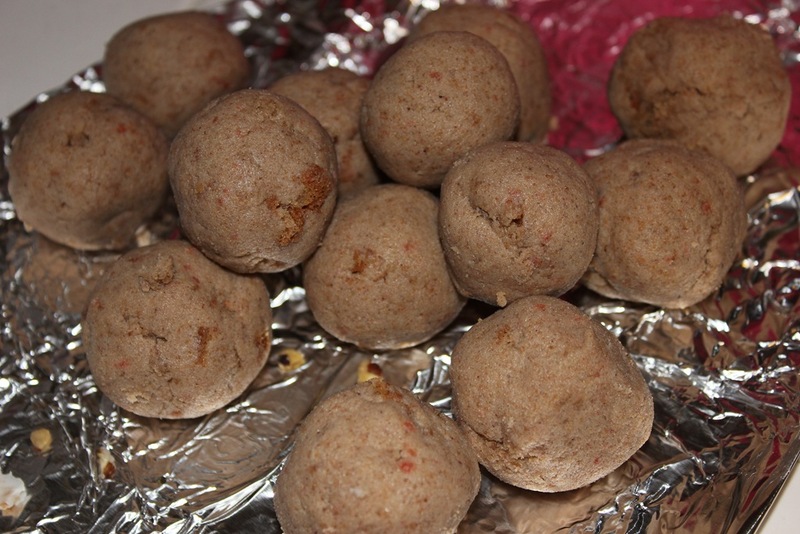 At one o’clock in the morning you just start throwing away the unused cake balls because your tired of looking at them. There were also parts of the night when I’m pretty sure Clay was shoving cake into his mouth so he did not have to make the balls anymore. I distinctly remember him saying “I don’t feel good” and then seeing him shove another cake ball in his mouth… We may never bake again after this experience. When, that is if, we try again we will probably only do one box. This entry was posted in Food and tagged baking, cake, food, recipe. Bookmark the permalink. I will be making these for special occasions and gifts. I love this recipe..